African Mission is a small UK charity (registered charity No 1099264). Our aim is to fight disease and poverty in Africa by supporting educational and medical projects. We began in 2003 by supporting the work of Dr Ray Towey MB ChB FRCA. 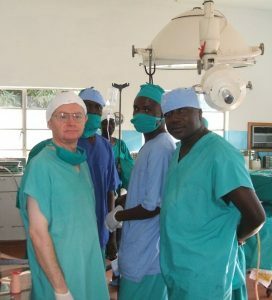 Dr Towey had left his post as a Consultant Anaesthetist in Guys Hospital London in 1993 to work in Africa and for the last 25 years has dedicated his life to the improvement of health care for the poor in Africa. After a fact finding visit to Zimbabwe in 2009 African Mission decided to expand its work. In addition to supporting Dr Towey’s work it was decided we would also support various projects within Fatima Mission. 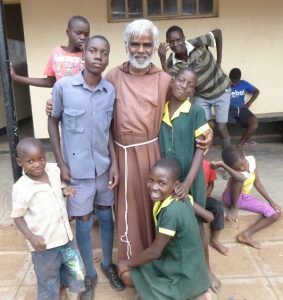 Fatima Mission is a very large mission (900 sq kms in size) based in rural Zimbabwe. The majority of those living within its boundaries are poor subsistence farmers reliant on Maize, Chomolia (a green vegetable) and a few cows, goats or chickens as their only source of food. The mission is run by a RC order of priests and nuns (the Franciscans). To see how we have supported Dr Towey’s work in Uganda and various projects within Fatima Mission to date please click on “Projects supported”. To see the projects we are raising funds for in 2019 please click on “Projects 2019” (hover over “Projects supported”).